Tribal resistance and collaboration around fire policies provide a guide for how we can address climate change. Essay by Christine Dupres and audio by Jessy Damon. Timeline by Melissa Lewis. Are you a tender soul? I think that you are. A sort easily tindered. I tend to think we are all fragile, combustible, permeable, and potentially explosive. I feel for all of the people I know—tender and loving and full of compassion—like us who chafe against the rough implications of now. And we, at least us white, middle class urban dwelling Oregonians (I say “us” because I am mixed race, both Native and white), we live in a swaddled world immune from the more searing stuff of the planet and other people, places. Speaking of swaddled world, I wonder if you’ve been watching from a distance the North Dakota Pipeline resistance. In September of 2016, the Standing Rock Sioux Tribe submitted court papers that named locations along and near the pipeline as home to sacred sites and artifacts, as well as their primary water source. Soon after the tribe delivered those papers, construction crews jumped the line and started bulldozing. This fired a protest by Native leaders and non-Native peoples countrywide that has received a great deal of attention. It’s also generated hope. The fight continues as you read this, on through the winter and into spring. While the resistance in North Dakota has had the nation’s attention, every day tribes take less dramatic but no less important strategic action to protect sacred sites and sacred resources. Such actions are taken in the name of sovereignty and in the name of natural resource protection, and they create a tribal precedent that could educate and gather us all. Think of Washington State’s Lummi Tribe in their recent win against Big Coal at Cherry Point, near Bellingham, Washington, where they blocked a massive coal export terminal. Think of the Mescalero Apache’s powerful refusal to store nuclear waste, or the clever use of the historic register of the Nantucket Sound by the Wapanoag to slow development of a controversial windfarm, or think of the daily dedication of Tribal Natural Resource and Cultural professionals to preserve and protect what belongs by government treaty to tribal peoples. There are lessons in the struggles occurring in Indian Country, and how contemporary tribal peoples respond to threats shows us about how to unite against the most consuming threat of all—climate catastrophe. Tribes have had to foster and fight for their resources against a hostile government and occupying enemy, and thus they have an edge in the fight. Tribes in the West are also land owners, and they own hundreds of thousands of acres of forest land. The dual impact of climate change and fires hits reservation tribal people especially hard. For starters, they may be reliant on the land for traditional food sources, such as huckleberries, which provide vital nutritional and spiritual sustenance. Huckleberries, for many of the tribes in Oregon, are a sacred first food. A hot wildfire, the kind so common now, threatens these food resources, and it threatens tribal culture, too. The megafires that now burn in the west are not only a result of climate change, but they also contribute to and accelerate climate change. The situation is dire. Do you recall the smoke that filled our city in the summer of 2015? I hear that it happened because the prevailing winds were unusual, and cast us and our city into obscurity. Were you there that day? What was going through your mind? What were you breathing? I wasn’t in Portland in August of 2015, because I was in the mountains and in the fire that summer, the edges of it licking the small town where I stayed, absorbing all the places, the things, the animals that—for me—are people. Coyote was crying day and night. Owl came down to spread warning. The animals are people. 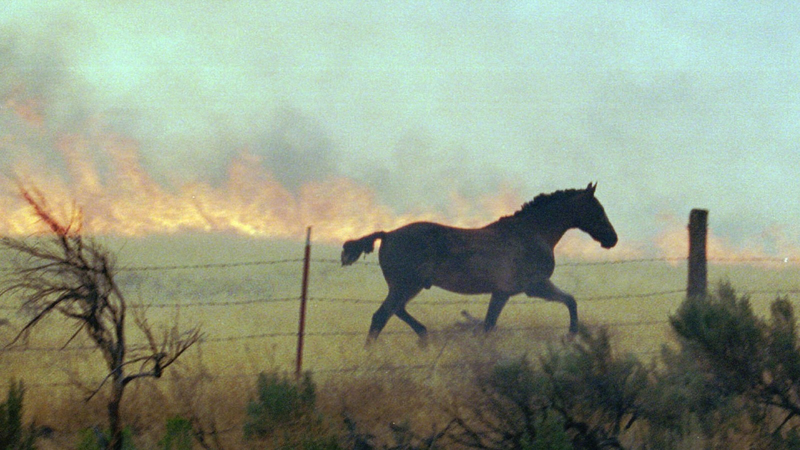 And in the summer of 2015, at the Warm Springs Reservation, a place and people I think of often, a huge fire was raging and the wild horses were crying out in fear, trying to outrun the blaze. The fires of 2015 were sensational but no longer unusual. Such mega fires burn with questions about what’s happening on our planet, and what’s happening to our Oregon tribes, especially those on the “dry side” east of the Cascades, where conditions—created by years of official fire policy—are set for more and hotter fires. These fire policies are largely determined by the Forest Service, which owns more than 60 percent of the 30 million acres of forest lands in Oregon. Fire suppression was at the core of the agency’s history from the time of its founding in the early 1900s. In 1935, they established the 10 a.m. policy, which mandated that fires should be put out no later than the morning after they were reported. In the 1960s, however, they discontinued this practice in response to the growing scientific and popular understanding that fire was an important and necessary process to ensure forest health and new growth. Intentionally using fire as a tool in this way is known as prescribed—or controlled—burning, and it’s a practice that Yolanda Yallup, a Yakama and Wasco firefighter, is passionate about. Yolanda is emblematic of the kind of collaboration I envision when I think of tribal people and cooperative efforts to save our environment and home. She is from a family of women who fight fires, working as a Hot Shot in the summer of 2008 and an engine driver at Warm Springs in 2015, fighting the Carpenter Road Fire in Spokane. WTREX Stories: Yolanda Yallup from The Smokey Generation. Video courtesey of The Smokey Generation. Driven to do more than just fight fires, she recently left Warm Springs to work as a tri-regional fuels monitor for the Bureau of Indian Affairs in Portland and to study full time in the forest ecology program at Central Oregon Community College, where she is learning everything she can about prescribed burns. She is now one of the nearly 80 percent of Native people in Oregon who live off reservation. Once she has completed her studies, Yolanda plans to return to the Warm Springs reservation in the Mt Hood wilderness to use prescribed burns to restore their land and create the conditions where huckleberries can thrive. Huckleberries have been hard hit by forest overgrowth, overpicking, and a rapidly changing climate. Though they continue to grow in shady conditions, their output has been far from optimal. Likewise, because they are delicious and notoriously tough to cultivate, competition by other non-Indian pickers has decreased their availability as a first food. The Forest Service now honors treaty rights which guarantee access to first foods in ceded lands of cultural significance. Huckleberry sites are among them. For thousands of years, Native people used controlled fires to clear out brush and encourage the right amount of sun and shade for optimal huckleberry growth. Under the Forest Service’s suppression policies, huckleberries languished while young trees and thick underbrush became fuel for the very hot fires we see now. In a cultural context, a prescribed burn on huckleberry territory matters. It matters to a lot of Native people for whom the huckleberry is an honored and nourishing first food, and it matters to me. I grew up picking berries in the summer with my family, and it remained one of the most tenacious of the cultural activities we did together. While dominant white culture repressed the ceremonial element of the huckleberry harvest, Native tribe members in the area have revived it, and I have danced the smokehouse floor in ceremony, as well picked with Yakama cousins in preparation for a sacred feast. In 1997, the Forest Service signed a memorandum of understanding with the Warm Springs Tribe to establish a working relationship in managing huckleberry resources. Nine years later, in response to deleterious climate change, both the Bureau of Land Management and the Forest Service signed an agreement with the Warm Springs Tribe, and they have been working together for a decade to treat excess undergrowth and other fire fuel conditions and to restore forest health, minimizing mega fires and allowing for optimal huckleberry growth. Leaving firefighting and her home for the opportunity of a position with the Bureau of Indian Affairs in Portland was an opportunity Yolanda couldn’t pass up, but it came with a cost. She loves her job at the BIA, and feels supported there, but tears well in her eyes when she talks of leaving the reservation—all the things that burden her, the difficulty in being away from her family and community and the land itself. For Native people like Yolanda and me, place is crucial. Even those of us who are unenrolled, or those of us who are transplanted—at least for now—to an urban place, we feel a call to home that runs deep. We know where we come from, and we remember our grandmother’s touch upon this land. It is a great, undeniable burden and resource within many of us. For now it is worth it for Yolanda to be away from home. “Though I miss home, I fight for home; being here is part of the fight for home,” she says. She believes that her work as a firefighter will be enhanced if she understands the systems that both cause and prevent fire. Last fall, she spent two weeks in California with two dozen women from half a dozen countries at WTREX, an experiential camp on controlled burning. TREX camps bring together people from all over the country and world to “burn together and learn together” in an intense and immersive exchange that combines live fire training and indoor learning. WTREX does the same, but it is exclusively for women. The philosophy of WTREX is one of collaborative intelligence: together, and across our differences, we can learn more. Yolanda understands the collective agreements we are all called to make to survive. Speaking to the increased importance of collaboration, she says, “I engage white people. I don’t believe in divisions; we have to all come together.” Yolanda has made a choice to educate herself, not just on how to fight fire, but on how people can work together to create better results. Tribes are well situated to lead the collective action required to slow climate catastrophe. To thrive, Tribes have to cooperate with their local communities, the state, and the federal governments. Reservation Indians are often at the forefront of this cooperative effort, because natural resource management is a huge part of what sovereignty means for tribes. Only collective action, a relational worldview, and the shift toward collaborative action that goes along with it, can stop climate catastrophe. If we have forgotten, then we must remember that we are part of the earth. As a European white culture, we must move away from an acceptance of corporate and political practices of unsustainable extraction of the earth’s finite resources. We must move toward a recognition of our land, our place upon it. We are mammals all. The animals are people. We can take our cue from the huckleberry. I was taught that the huckleberry is difficult to cultivate because the roots of the berry must grow together in communication. Likewise, the berry must spring from the land of its origin. Unless we have each other, and unless we work cooperatively, we will not last. We will perish. The other lesson from the huckleberry is sweeter, like the fruit itself: we need each other, and we need to recall our shared humanity and fragility. When we tap our roots, we’ll find that that gives us access to each other, the earth, and the greater understanding it will take to survive. Jessy Damon, creator and leader of MidSun Productions, is a freelance audio engineer. She works in both live sound and in-studio sessions and across many musical genres. 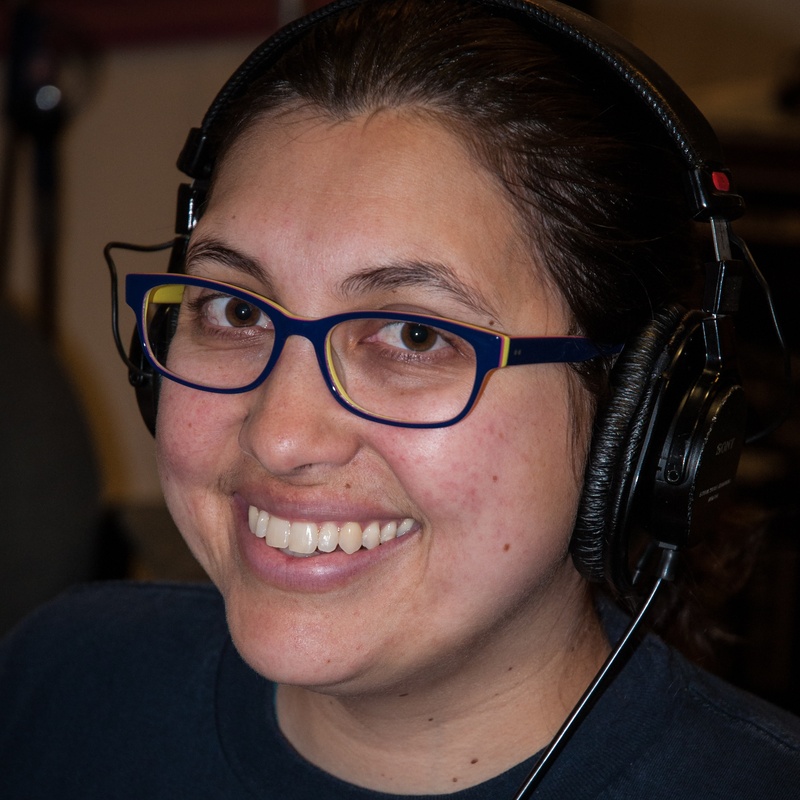 Currently, Jessy works with KBOO Community Radio and can be found engineering live music at various bars and pubs around the Portland area. Christine Dupres (Cowlitz/Cree) is a writer, teacher, and citizen of the Cowlitz Tribe. 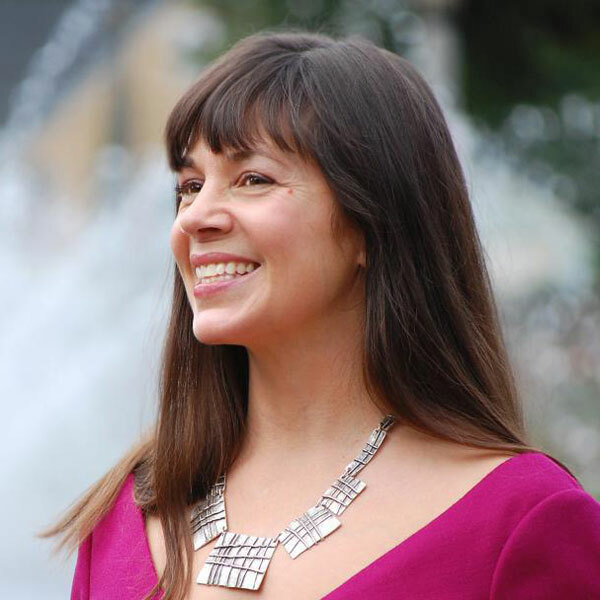 She is the author of the recently published Being Cowlitz: How One Tribe Renewed and Sustained Its Identity (University of Washington Press), and is working on an upcoming book titled Land and Being. Dupres has a PhD in folklore and folklife from the University of Pennsylvania. 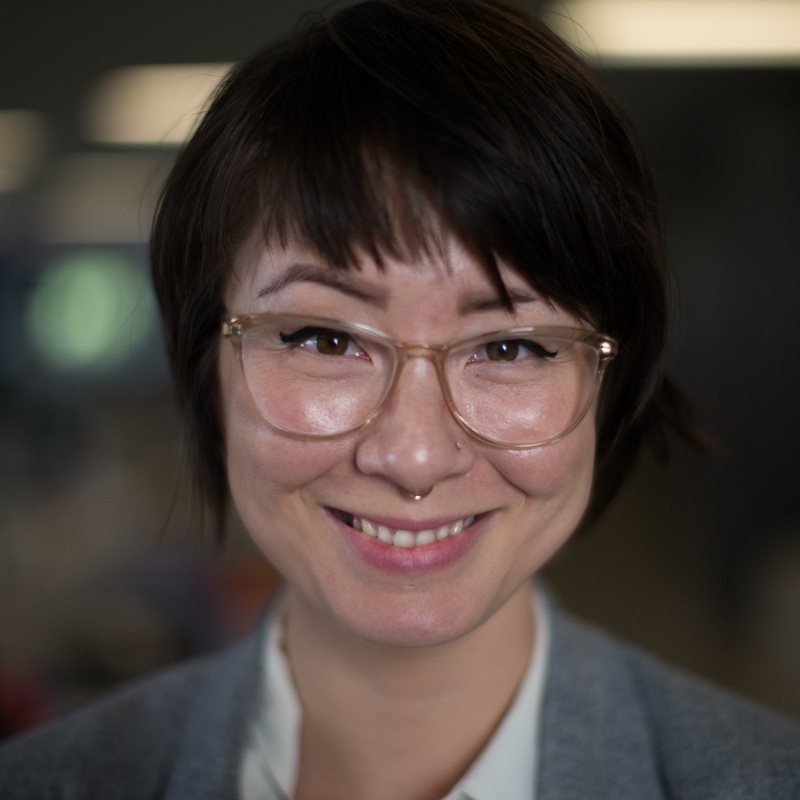 Melissa Lewis is the data editor of the Oregonian and a Portland organizer of PyLadies, an international organization dedicated to teaching women the Python programming language. Previously, she was a data engineer at Simple and a data scientist at Periscopic. Great piece, Christine. I see that the date on it was originally last March but it showed up on my FB today, so it seems like a good time to read it. I love the many strands you pull together. I love the deep roots which you communicate and share with the rest of us "white people". I look forward to our next get together. Grappling with values, change, and nostalgia has shaped—and continues to shape—the largest city in Oregon. When he came to Oregon, John A. Brown was one of the state's first Black homesteaders. More than 130 years later, his name is finally on the map. Hope and a history of tragedy live together in a Cowlitz woman's son.